Little new technology appeared in 1976, largely due to USAC's inability to decide the 1976 rules until late winter. The Patrick Racing team built a revised Wildcat, the Mk 2, with a full-width nose, front radiators and lower sidepods but retained the older side-radiator Mk 1 for short tracks. The STP-liveried cars propelled ever-present drivers Gordon Johncock and Wally Dallenbach to first and third in the title race. They were split by Johnny Rutherford's works McLaren M16E, finishing second in the championship for the third year in succession. He still used his 1974 M16C on the short tracks. The other car that had been new for 1975, the Parnelli VPJ6 with its Cosworth DFX powerplant, proved highly competitive and Al Unser won three races on his way to fourth place in the championship. 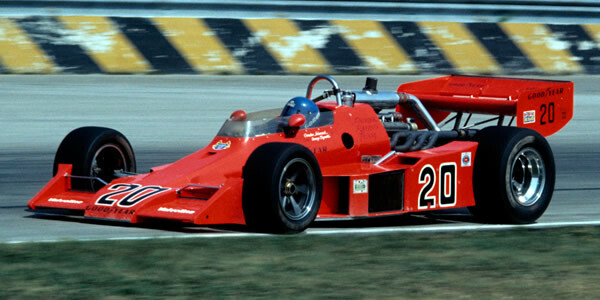 AJ Foyt's steadily evolving Coyotes were generally fastest in practice but this year the Texan struggled to find reliability and did not feature in the title race. Also sticking with the same driver for the umpteenth season was Lindsey Hopkins, employer of Roger McCluskey. Apart from the Wildcat Mk 2, the only other completely new car was the Lightning, commissioned by Lindsey Hopkins from designer Roman Slobodynskyj to replace their 1974 Riley. Bobby Unser left cash-strapped AAR after five seasons to join Bob Fletcher's Cobre Tire team and took mechanics Wayne Leary and Butch Harris over to fettle Fletcher's 1974 Eagles, giving them side radiators. Meanwhile Indy and F5000 veteran crew Jerry Eisert took over the reins at AAR. Also running competitive cars in 1976 were Penske (Norton Spirit McLarens) and Jerry O'Connell (Sugaripe Prune Eagles); also still using the same 1974 cars. Such was the absence of new machinery that Johnny Parsons ended up tenth in the championship in the Finley Eagle, a 1974-spec Eagle built up for 1976 by Vatis chief crew Bill Finley.